Prescott National Forest officials wanted to give folks a heads up that they have one more weekend for climbing opportunities before the Forest implements restrictions on climbing and other activities on the cliff faces of both Granite Mountain and Thumb Butte on Friday, February 1, 2019. Both sites have been consistently occupied by peregrines annually for more than 21 years. These annual closures are providing the undisturbed setting and quality nesting habitat essential for peregrines to successfully raise their young. The week was chosen because Valentine’s Day is a day of caring and sharing which underscores the Salute’s expression of honor and appreciation to inpatient and outpatient Veterans. Please consider visiting the Northern Arizona VA Health Care System during the week of February 11-15th to visit with our hospitalized Veterans and help us say THANK YOU for their sacrifice and service. Guests are encouraged to bring Valentines to share and hopefully your visit will allow time to view their local Veterans Creative Arts show. On January 23rd, the Yavapai County Board of Supervisors held a meeting at Embry Riddle Aeronautical University to discuss the FY 2019/2020 budget for Yavapai County. Following the award of the $25 Million Better Utilizing Investments to Leverage Development (BUILD) grant for the Verde Connect project, Yavapai County has started partnering with the Federal Highway Administration (FHWA) to discuss and develop a plan to move the project forward. To comply with the National Environmental Policy Act (NEPA), additional agency coordination meetings with federal offices, such as the US Fish and Wildlife Service (USFWS) and the Environmental Protection Agency (EPA) are required. The additional coordination is intended to obtain input from local, regional, state, and federal agencies. To outline this coordination, the County is currently developing an Agency Coordination Plan that defines agency roles, participation, and timelines for involvement to successfully deliver the project. The development of this coordination plan is imperative to the success of the Verde Connect project. After all necessary agency coordination is complete, the County, with the help of their consultants Jacobs Engineering, will begin the environmental assessment and seek public input. As additional information and schedules are available, project updates will be posted on the Verde Connect project website. The 2019 Summit will facilitate group discussions and presentations following a morning introduction and keynote speaker. The lunch Key Note may include a special guest or a panel discussions focused on education . A closing panel discussion will focus on engagement and cooperation between citizens and governmental officials. Education sessions/discussions will include corporate policies, driver education, incident research, state and municipal ordinances. On Tuesday (12/11/18) the US Department of Transportation named Yavapai County an awardee of a $25 million, Better Utilizing Investments to Leverage Development (BUILD) grant for the construction of a new bridge over the Verde River. This bridge will connect the northern Middle Verde Road area, the Yavapai-Apache Nation, and the northeastern portion of the Town of Camp Verde to State Route 260. This project is referred to as the Verde Connect project. According to U.S. Transportation Secretary Elaine L. Chao, “BUILD transportation grants are major investments in road, rail, transit, and port projects that serve as a down payment on this administration’s commitment to America’s infrastructure.” Of the total 851 BUILD Grant applications submitted to the USDOT (requesting $10.9 Billion in funds), only 91 projects were awarded (totaling $1.5 Billon). This project was the only one awarded in the State of Arizona. This award starts the clock immediately on a project that is in the early planning stages, as the Design Concept Report is still underway. Yavapai County will be required to have funding obligated by September 30th, 2020, which requires meeting full environmental clearance (NEPA) prior to that date. The Grant requires that all funds be fully expended by September 30, 2025. • Continue to work with the project’s Technical Advisory Committee (TAC) to complete the corridor alternatives analysis as part of the design concept report that is currently ongoing, and select a preferred corridor for the project alignment. • Ramp up efforts with the County’s consultant on the project, to complete the environmental assessment and other documentation necessary as part of the National Environmental Policy Act (NEPA) requirements and participate in public outreach. (*) Presented at the November 11, Board of Supervisors meeting in Cottonwood. In August of this year, the Board of Supervisors began the process to award funds for the Title III Forest Fee Program by receiving applications. The amount that Yavapai County received was $275,000, which would be awarded to those organizations that met certain criteria. As part of the grant requirement, each organization had to submit an application meeting illustrating how they would meet certain criteria, as outlined below. Carry out activities under the Firewise Communities Program to provide homeowners in fire-sensitive ecosystems education and assistance with implementation, techniques in home-siting, home construction, and home landscaping that can help protect people and property from wildfires. To cover training costs and equipment purchases directly related to the emergency service described in paragraph 2. Develop and carry out Community Wildfire Protection Plans (CWPPs) in coordination with the Secretary of Agriculture. Yavapai County Emergency Management Department reviewed the applications for greatest need and submitted them to the Board of Supervisors for preliminary funding determinations in September. Each organization will have until December 31, 2019 to utilize the funds and must complete quarterly progress forms itemizing how the money is spent. The Yavapai County Board of Supervisors stands with many of the 2018-19 Title III Forest Fee Program recipients. 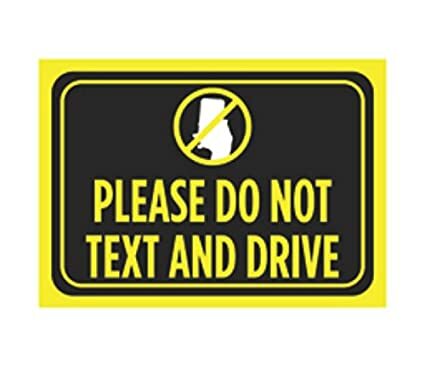 Ban on using handheld cellphones while driving begins November 2nd!! At the Octobr 3rd Board of Supervisors meeting in Prescott, the vote was unanimous to approve the ordinance banning the use of handheld devices while driving in unincorporated areas of Yavapai County. On October 3, 2018, the Yavapai County Board of Supervisors held the second and final hearing for adoption of Ordinance 2018-2. The ordinance would regulate the use of communication devices and texting while operating a motor vehicle. There were several people in attendance that spoke in support of the measure and only one person speaking in opposition. After several minutes of comments from the public, the Yavapai County Board of Supervisors unanimously voted to approve the ordinance. The ordinance states: A person shall not drive a motor vehicle while holding in his or her hand, typing on or otherwise manually operating a portable communications device. Several exemptions and definitions are spelled out in the ordinance, the full text of which can be read here https://goo.gl/Vhb2Bo . Supevisor Rowle P. Simmons, Chairman has two remaining annual Town Halls left in 2018. The Town Halls are important to the community as they allow residents to ask questions and get answers and to learn about the functions of Yavapai County Government. The departments represented at these meetings are Public Works, Development Services, Community Health Department, Flood Control, and the Yavapai County Sheriff’s Office. At the October 4, 2018 Yavapai County Board of Supervisors meeting, Betty Bourgault, Founder and Researcher of the "All Veterans Memorial" plaque project was on hand to receive the signed proclamation honoring the Yavapai County's World War I Fallen Soldiers. This year we recognizing the 100-year anniversary of the ending of the war. Yavapai County has 31 veterans of the armed forced that gave their lives in WWI We must remember their service and sacrifice in perpetuity. Sgt. Thomas Arnold, U.S. Army, from Prescott, died on May 16, 1918, while serving in France. Pvt. Louis S. Boyer, U.S. Army, from Clarkdale, killed in action, while serving in France. Date of death unknown. Pvt. Aaron W. Casner, U.S. Army, from Beaver Creek, Yavapai County, died of illness on October 5, 1918. Pvt. Chester W. Crews, U.S. Army, from Mayer, missing in action, on September 6, 1918, while serving in France. Pvt. Eli Davis, U.S. Army, from Skull Valley, died on October 27, 1918, from wounds, received in action, while serving in France. Cpl. Charles M. Dewey, U.S. Army, a miner in Jerome, killed in action on September 6, 1918, while serving in France. He was the great nephew of Admiral George Dewey. Cpl. Howard M. Draper, U.S. Army, from Yavapai County, killed in action on September 5, 1918, while serving in France. Prescott High School student. Pvt. Walter H. Grant, U.S. Army, from Jerome, died on October 18, 1918 from wounds, received in action, while serving in France. Cpl. Charles A. Harding, U.S. Army, from Seligman, killed in action on October 3, 1918, while serving in France. Pvt. Oral T. Henderson, U.S. Army, from Jerome/Cottonwood, died on November 22, 1918, from wounds, received in action, while serving in France. Cpl. Harry B. Horgan, U.S. Army, from Congress Junction, killed in action on July 31, 1918, while serving in France. Pvt. Karl Hurst, U.S. Army, from Cornville, died of disease. Date of Death unknown. Pvt. Guy A. Jamison, U.S. Army, from Canon (Black Canyon City), killed in action on October 9, 1918, while serving in France. Pvt. William W. Jones, U.S. Army, from Prescott, died from disease on November 23, 1918. Pvt. John Kelly, U.S. Army, from Mayer, died on October 21, 1918, while serving in France. Pvt. William King, U.S. Army, from Prescott, died of disease on March 17, 1918. Pvt. William Emmons King, U.S. Army, from Prescott, missing in action on September 25, 1918, while serving in France. Pvt. William Albert Kinsman, U.S. Army, from Camp Verde, killed in action on September 26, 1918, while serving in France. Pvt. Samuel A. Kuykendall, U.S. Army, from Skull Valley, died on October 28, 1918, from wounds, received in action, while serving in France. 1st Lt. Ernest A. Love, U.S. Army Air Service, from Prescott, died on September 16, 1918, from wounds received in action while serving in France. Prescott High School student. Cpl. Elexandro Moisa. U.S. Army from Jerome, killed in action on October 6, 1918, while serving in France. Pvt. Sidney Owens, U.S. Army, from Mayer, killed in action on June 14, 1918, while serving in France. Pvt. Albert Pitts, U.S. Army, from Seligman, killed in action on August 29, 1918, while serving in France. Fireman Second Class, Charles D. Shumaker, U.S. Navy, from Clarkdale, died from disease on October 10, 1918. Pvt. Jacob K. Theobald, U.S. Army, from Prescott, died on November 16, 1918, from wounds received in action, while serving in France. Prescott High School student. Sgt. Arthur J. Tisdale, U.S. Army, from Yavapai County, killed in action on September 27, 1918, while serving in France. Pvt. Clair S. Tompkins, U.S. Army, from Camp Verde, died of disease. Date of death unknown. Pvt. Steve Vaglio, U.S. Army, from Jerome, died of disease on September 25, 1918. Cpl. John Henry Pruitt, USMC, from Jerome, killed in action on October 4, 1918, while serving in France. Cpl. Pruitt is a double Medal of Honor recipient. FURTHER, the Yavapai County Board of Supervisors encourage all citizens of Yavapai County to pause in remembrance of these brave soldiers during the 100th Anniversary of the ending of World War I, The War to End All Wars. IN WITNESS THEREOF, the Board of Supervisors have hereunto set our hand and caused the seal of the County of Yavapai, to be affixed this 3rd day of October, 2018. The Yavapai County Board of Supervisors would like to encourage everyone to get their flu shot. If you live in one of the communities listed below the Yavapai County Community Health Services will bring the flu shot a little closer to you. There are several opportunities to get your flu shot and very few reasons not to get one. Many of the Yavapai County Board of Supervisors hold Town Hall meetings and combine them with an opportunity to get your flu shot. Several of those meeting dates and times can be found at Yavapai.us/bos including the Chairman Rowle Simmons’ Wilhoit Town Hall meeting and flu shot clinic on October 23, 2018. The flu shots will begin at 5:00 PM and the Town Hall meeting will begin at 6:00 PM at the Fire Station, 9000 S. Magby. Benefits: The annual flu vaccine is the best way to reduce the chances that you will get the seasonal flu and spread it to others. The more people are vaccinated against the flu, the less the flu will spread throughout the community. Who Should get the Flu Vaccine: Everyone should receive an annual flu vaccine. Protecting yourself from the flu also protects the people around you who are more vulnerable to serious flu associated illnesses such as: infants, older adults, and anyone with a chronic condition. Does the Flu Vaccine Work Right Away? No, it takes about two weeks after receiving the flu vaccination for the antibodies to develop in the body and provide protection against the flu. That’s why it’s better to receive your flu vaccination as soon as available or early in the season. The Emergency Notification System will be tested this Wednesday- system will be notified with a reminder to register for those who have not done so. The message will also contain information on ‘Ready, Set, Go’ terminology which YCSO will use in case of a potential evacuation incident. On Wednesday, February 28, 2018, beginning at 3 PM, YCSO will activate and test the Emergency Notification System, also known as Code Red. The main focus of this test is to alert residents to ‘Ready, Set, Go’ terminology which will be used in the case of an evacuation. It is important to understand the definition of each term as it provides guidance on what you should do should if the possibility of an evacuation occurs in your neighborhood. The notification message will include a brief overview of ‘Ready, Set, Go.’ A copy of the flyer for the Ready, Set, Go program is attached. If you do not receive notification, you are NOT registered with the system. Please take the time to sign up at www.ycsoaz.gov by clicking on the Emergency Notification System tab at the top of the homepage. The BLM will hold a public meeting on July 11, from 4 p.m. to 7 p.m. at the Kirkland Community Center located at 14200 W. Kirkland-Hillside Rd., in Kirkland. Registration will begin at 3:30 p.m.
PHOENIX – The Bureau of Land Management (BLM) Hassayampa Field Office invites the public’s comments on an updated Draft Mining and Reclamation Plan of Operations and Draft Environmental Assessment (EA) for the proposed high-quality pozzolan mine on approximately 88 acres of public lands in Skull Valley, Ariz. The 60-day comment period is from July 7, 2018 through September 4, 2018. The meeting will begin with a presentation. The topics that will be covered include the role of the BLM in managing public lands for multiple uses, National Environmental Policy Act compliance, wildlife resources, archaeological resources, the mine permitting process, and the transportation network associated with the proposed mine. After the presentation, there will be an opportunity for public comment. The meeting will conclude in an open-house format during which BLM specialists and Kirkland Mining Company representatives will be available to answer questions. A court reporter and comment station will be available for onsite comment submissions. Additionally, stakeholders are encouraged to submit their comments for the record through the BLM ePlanning project website. Written comments may be mailed to Geologist Shelby Cave at the BLM Hassayampa Field Office, 21605 N. 7th Ave., Phoenix, Arizona 85027, faxed to 623-580-5580, or emailed to KIRKMPO@blm.gov. This open house is intended to assist the public in reviewing more detailed information available on the BLM ePlanning project website and providing substantive comments. Maps, comments forms, baseline studies, the draft environmental assessment and other materials will be available online at http://go.usa.gov//xnJFX beginning on July 7 . If you have questions, please contact Shelby Cave at 623-580-5500 or KIRKMPO@blm.gov. Before including any personal identifying information in any comments, be aware that this information may be made publicly available at any time. Requests to withhold personal identifying information from public review can be submitted, but the BLM cannot guarantee that it will be able to do so. Persons who use a telecommunications device for the deaf (TDD) may call the Federal Information Relay Service (FIRS) at 1-800-877-8339 to leave a message or question with the above individual. The FIRS is available 24 hours a day, 7 days a week. Replies are provided during normal business hours.